Produced by Ellipsis Entertainment, Emraan Hashmi Films and T-Series, the shoot of the keenly awaited Emraan Hashmi-starrer Cheat India, directed by Soumik Sen began filming yesterday in Lucknow. Cheat India, is a never-seen-before peek into the vagaries of the Indian education system. Clearly aimed at Indian students, this edge-of-the-seat Emraan Hashmi-starrer have cast more than 70 actors from UP, including real students from various colleges and universities. 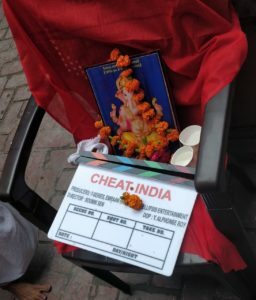 Cheat India is set to hit the silver screen on 25th January 2019. 15 queries in 0.559 seconds.